Euastacus yigara is a dwarf group crayfish from the rainforest streams of the Misty Mountains of far north Queensland (McCormack 2012). 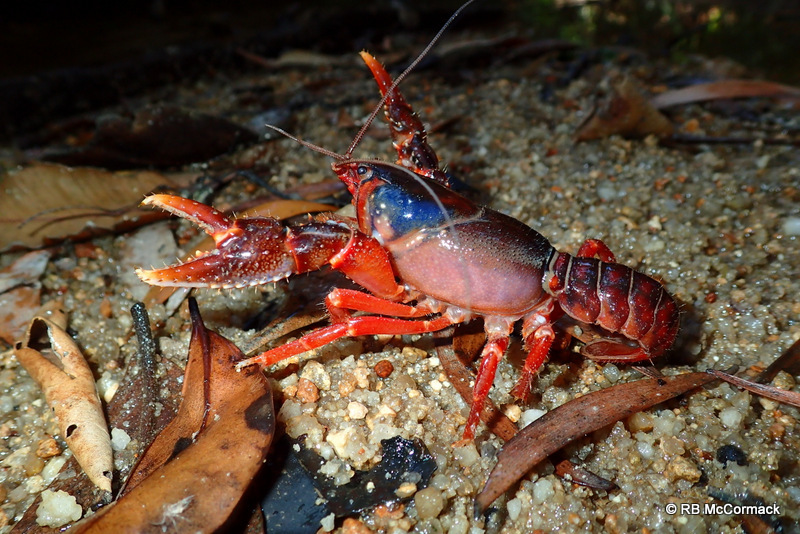 Since 2010 the Australian Crayfish Project has been researching this rare and elusive crayfish species. Less than a dozen specimens have ever been captured will little known on the species biology or ecology. 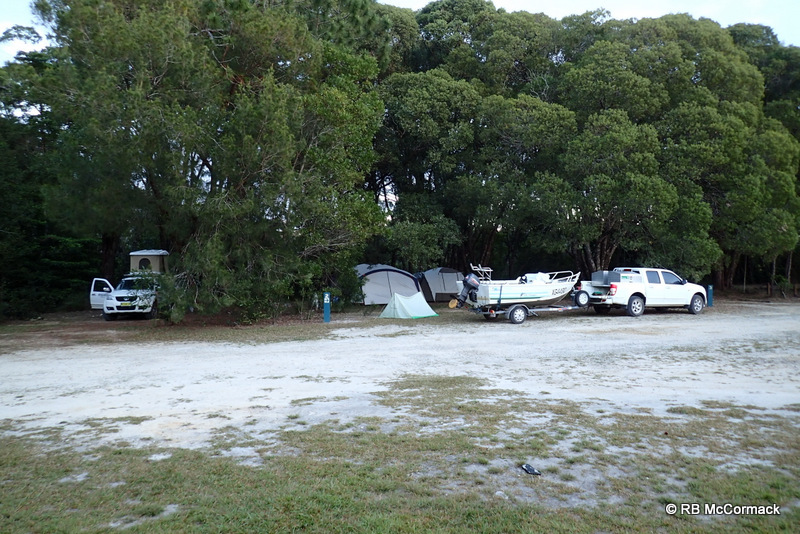 A four man volunteer research team set up a base camp at Koombooloomba Dam on the Tully River approximately 26 km south south-east of Ravenshoe, Queensland for a 5 day research project investigating this fascinating species. Euastacus yigara is an extensive burrowing species with a similar ecology to that of Euastacus urospinosus. 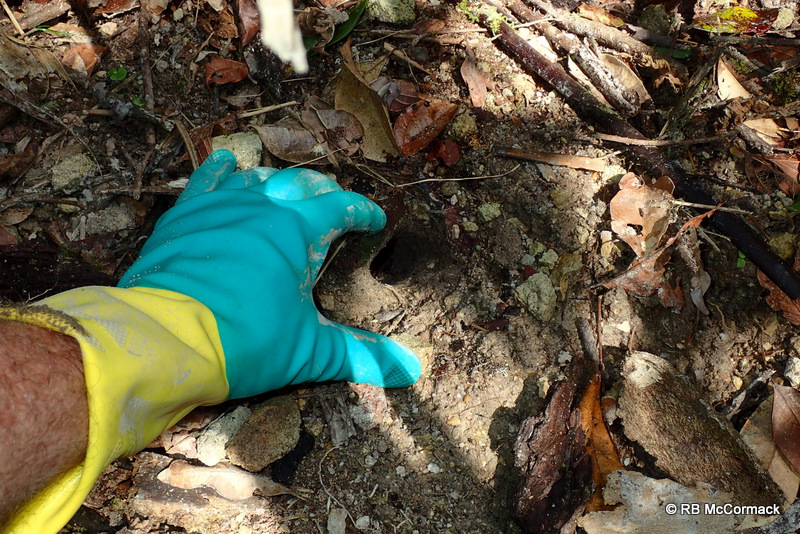 Several burrows were excavated in the forest floor in an attempt to describe the burrow system and to capture a specimen. Metres of burrows were excavated with surprising results, the size and inticacy of the burrow network is incredible with central burrows and chambers being 150-200 mm diametre and over 2 m long. A digging team of Paul Van der Werf, Karl Moy and myself took turns on the spade and hand digging to follow burrows. Paul Van der Werf hand digging a branch burrow and Karl Moy taking a break after a stint on the shovel. 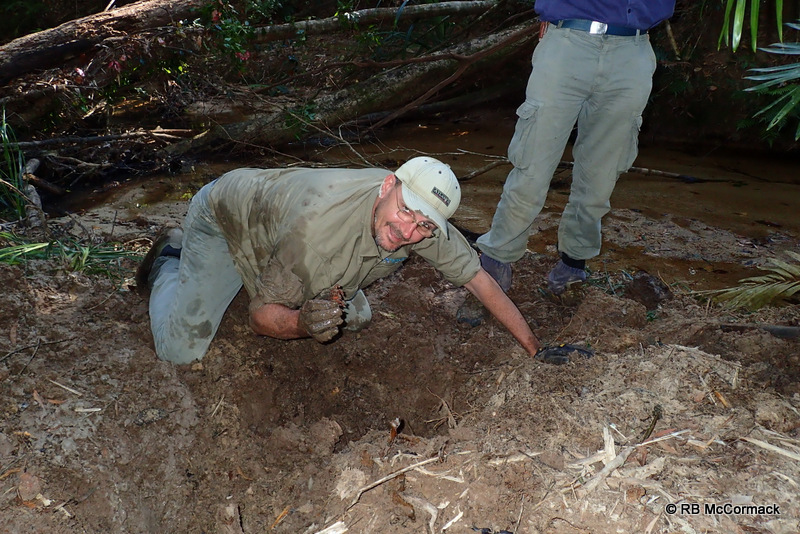 The main burrow is approximately 2 metres down under Karl. 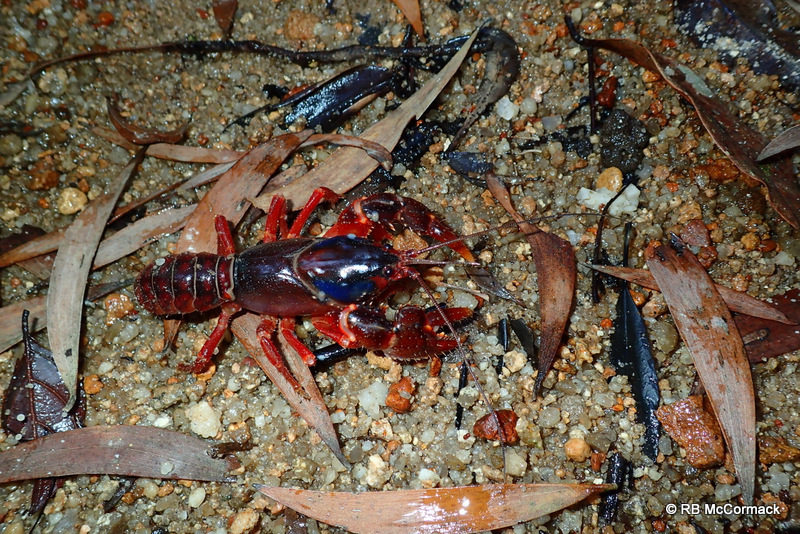 Adult crayfish are restricted to extensive burrow systems within the rainforest floor. The only way to get them is to, dig, dig and then dig some more. 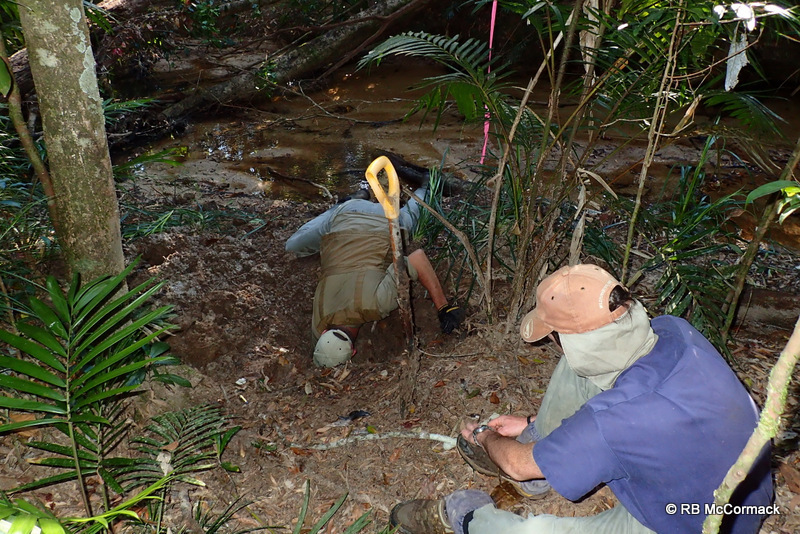 We all dug this burrow system in turn, carefully following the surface burrows into the main system. The central burrow/chamber was 200 mm diameter and over a metre long. 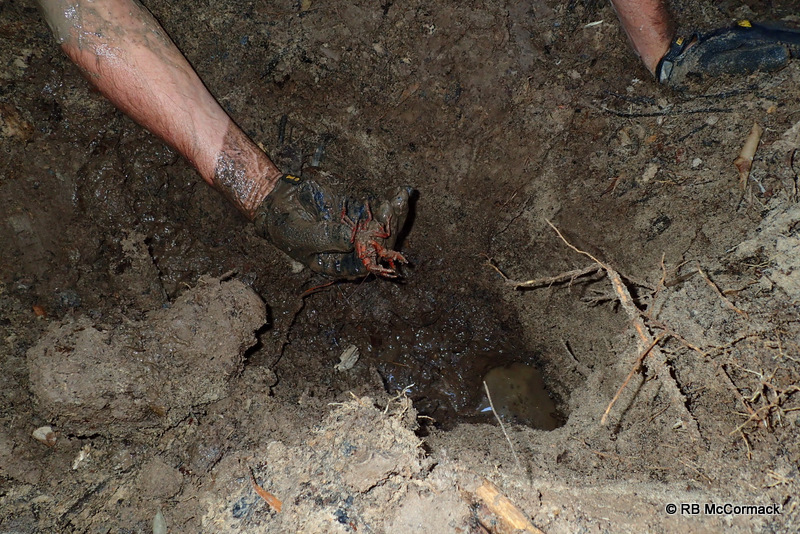 After excavating approximately 1 m3 of earth we finally captured an adult stranded in a side burrow. The burrow system seems to be communal with a honeycomb of different sized burrows crossing and interconnecting. 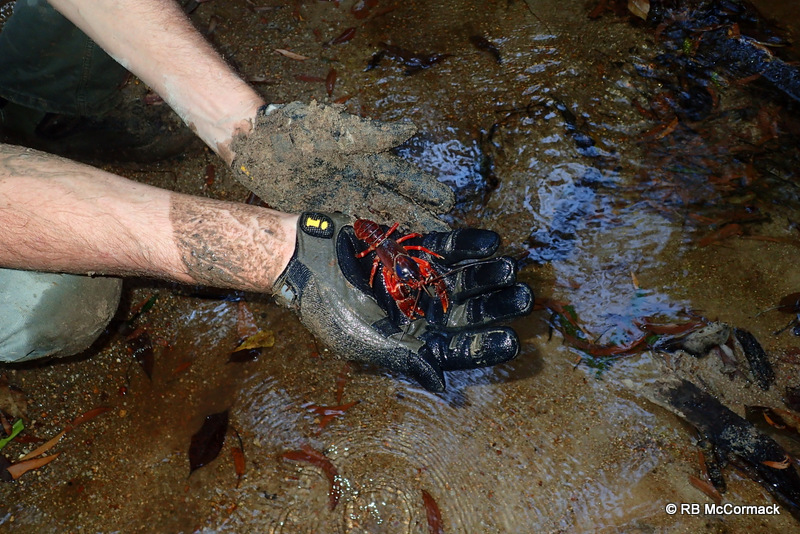 The Cardwell Hairy Crayfish is a spectacular rainforest crayfish with bright colouration that actually makes it extremely difficult to see on the forest floor at night. 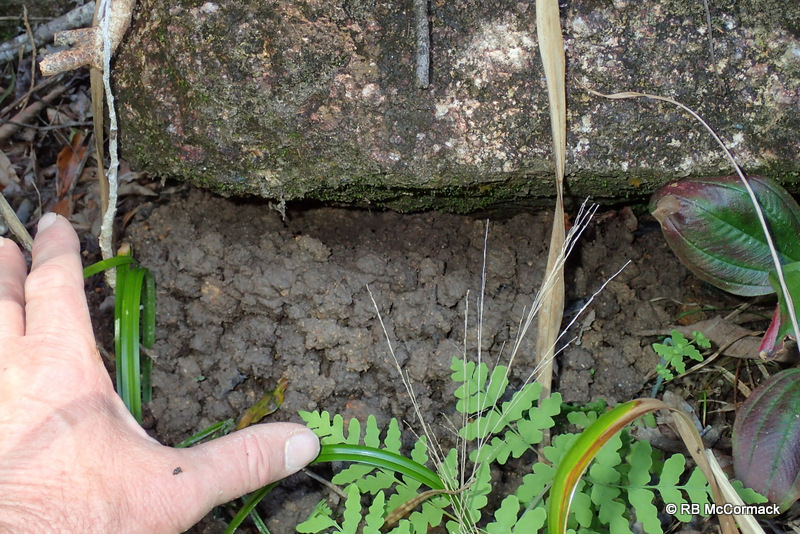 Interestingly, large numbers of burrows were excavated with only limited numbers of crayfish being captured, but we did regularly find plant material in the burrow system. 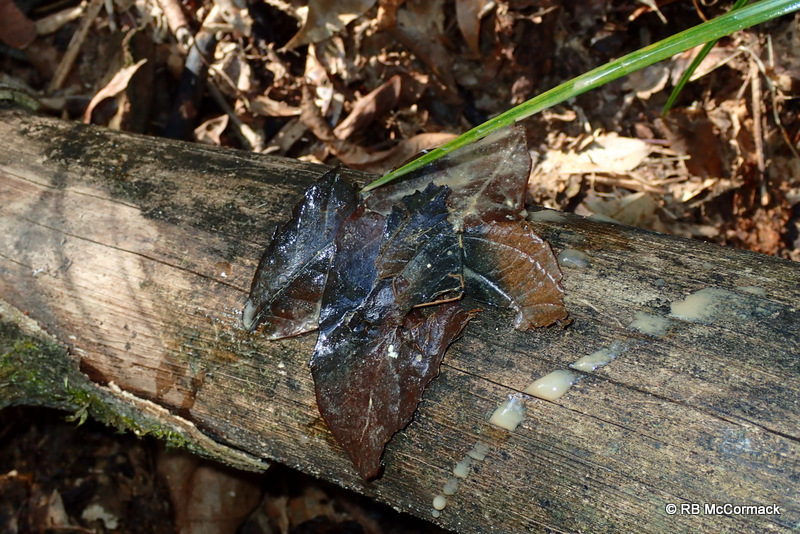 One could predict that a main dietary component is forest leaf litter. We have only just begun to researching E. yigara, and eventually we will publish a paper on our research results. Although we started in 2010 and now have another 5 days worth of information to add to the paper, unfortunately, the more we learn the more questions we need answered. All indications are that this species has the same biology as E. urospinosus (Check out Borsboom 1998; McCormack & Van der Werf 2013.). Unfortunately, we have nothing to confirm or support this hypothesis. This mature female was unberried in September and newly released juveniles were not in the stream so the breeding cycle remains unknown. We predict that if we return in January we will find juveniles in the streams. 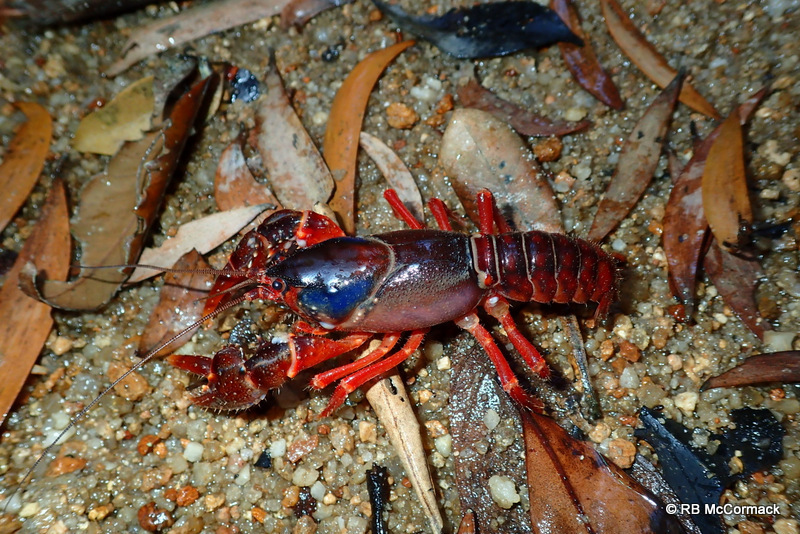 Euastacus yigara is one of Australia’s most critically endangered crayfish species that only occurs in rainforest habitats, its prosperity is directly proportional to the survival of the rainforest canopy above. It has a restricted distribution and the juveniles are dramatically impacted and threatened by wild pigs Sus scrofa which are rampant in the area and critically degrading the juvenile habitat areas. Additionally, a large proportion of the main habitat area has been destroyed by the construction of Koombooloomba Dam on the Tully River. It all adds up to a less than health future for the species. We need to continue our research and publish our findings so the management agencies can start conservation and management programs to help this struggling species. Borsboom, A. 1998. Aspects of the biology and ecology of the Australian freshwater crayfish, Euastacus urospinosus (Decapoda: Parastacidae). Proceedings of The Linnean Society of New South Wales 119: 87–100. McCormack, R.B. 2012. The spiny freshwater crayfish of Australia — A guide to the Euastacus freshwater crayfish of Australia. (CSIRO Publishing: Melbourne).